No, but really. Thanks to the endless work, I now love coffee. And coffee Keurigs are world’s greatest invention. Thank you to the inventor- you are are genius. 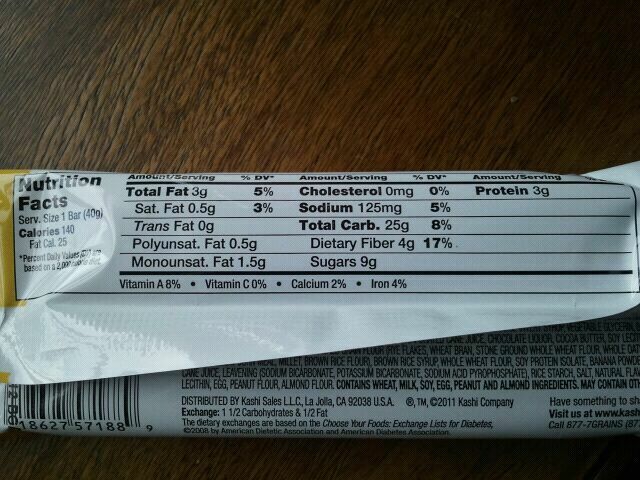 ANYWAY, the bars are gluten free, vegan, dairy and soy free, and made with minimal ingredients which I love. I opened up the bar and instantly smelled the coffee aroma. Observing the bar, it looked like a standard LARABar, but I also noticed rather large pieces of almonds. I took a bite. 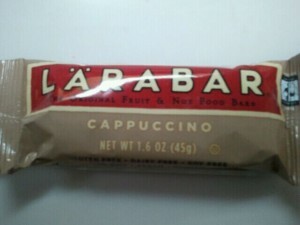 The familiar date/fruity taste a LARABar often has was there, but not super prominent. I could taste the coffee flavor, but it wasn’t super strong. It had a bit of an awkward bite at the end, like a spice of some sort. 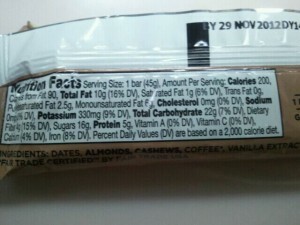 I checked the ingredients and didn’t see any spices, so I’m going to say the coffee added that bit of a bite at the end. The bar was soft, dense and chewy but had the slightly crunchier parts from the almond pieces. It was really satisfying as a snack and curbed my hunger well (almond always take away my hunger pains!). 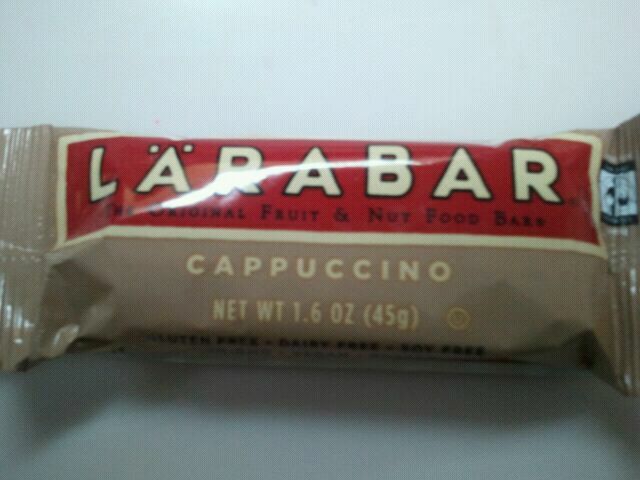 The bar was sweet but not too sweet, and overall pretty good. As a whole, I’d give this one a 3.5 star rating. I don’t think it’s my favorite, but it was pretty good. 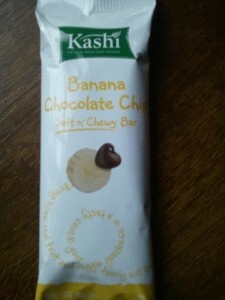 My favorites will always be this one and the cookie dough bar! Ok. I have a confession. 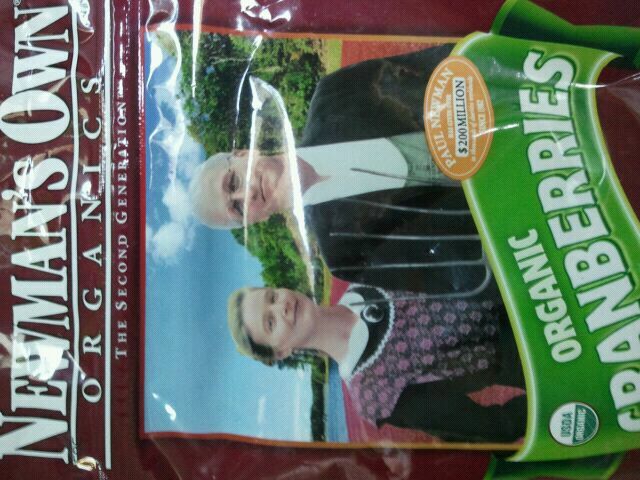 And is has something to do with Newman’s Own Organics Organic Cranberries. I think I like these more than candy. No really. SERIOUSLY. 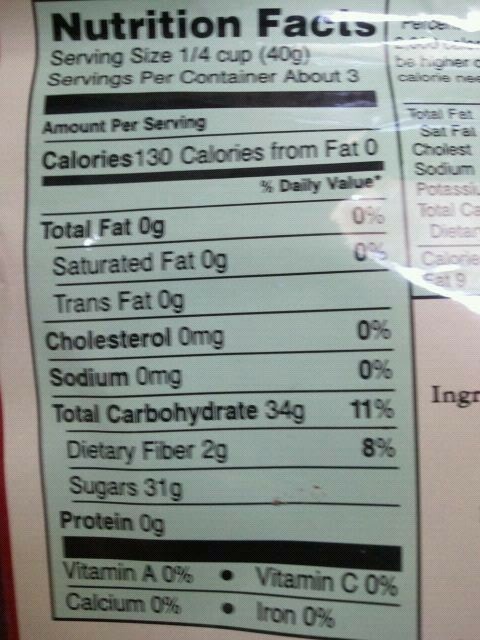 I think I’d rather eat a bag of these, than a bag of gummy bears. Or gummy worms. Or maybe even a Reeses Peanut Butter Cup (oh yea…I said it). Now I know what you’re thinking. Please. She’s just saying that, there’s no way FRUIT can taste better than candy. 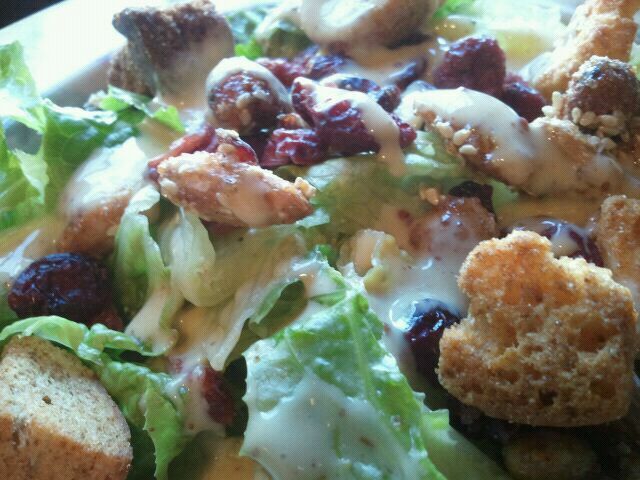 Or on top of a salad… ( highly reccomended). Online cooking schools are an option for indulging your passion for food, nutrition, and healthy cooking. Home-cooked meals combined with healthy packaged meals are a realistic option for many families. They are just perfect. 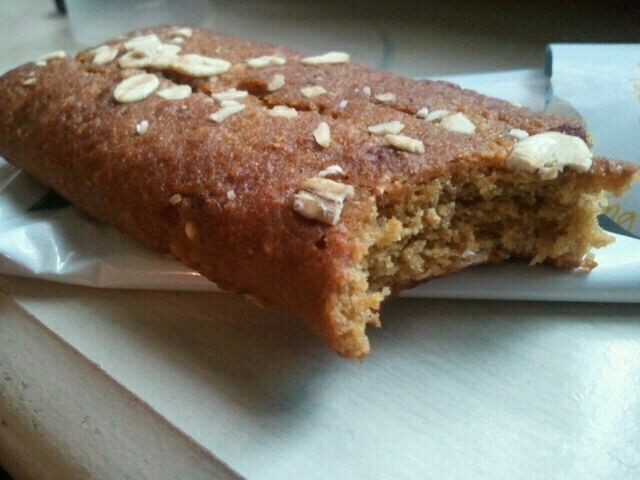 Chewy, sweet, not even the slightest bit tart. They taste so fresh and so pure and so GOOD. You know when you go to the mall, and there is that counter that sells dried pineapple slices with sugar all over them (or….at least I hope you know what I’m talking about)? And it tastes soooo good? Well, picture that, but in cranberry form. And not drowning in sugar. Yes. 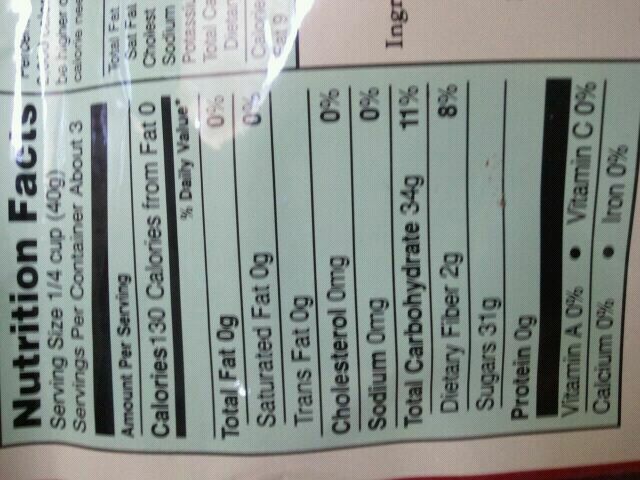 One of the ingredients for these cranberries is sugar. 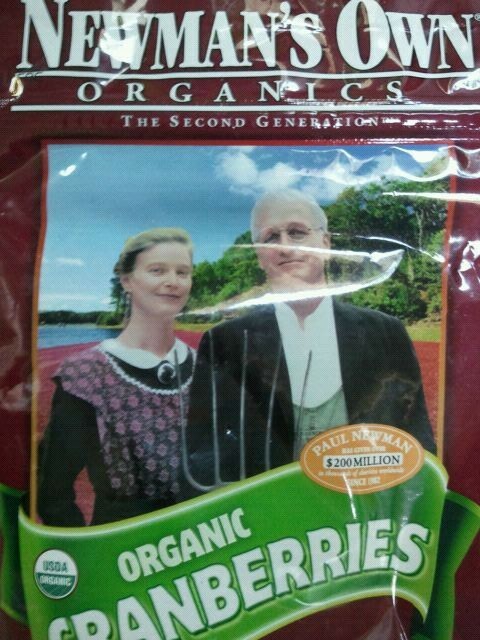 In fact, from the bag, the exact ingredients are “Organic Cranberries, Organic Cane Sugar, Organic Sunflower Oil”. But, it’s not like the cranberries are rolling around in sugar where it’s visible. Either way, these rock. Even though I got my bag for free from the company, I plan on buying these over and over again (and again…). 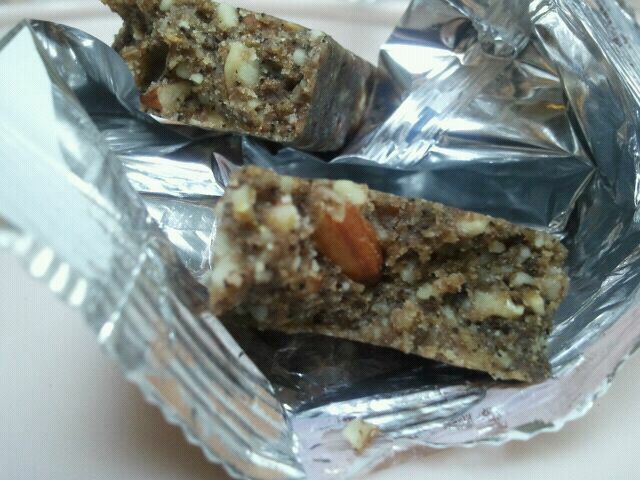 What about you- any healthy food that you adore more than an unhealthy food? Do tell! 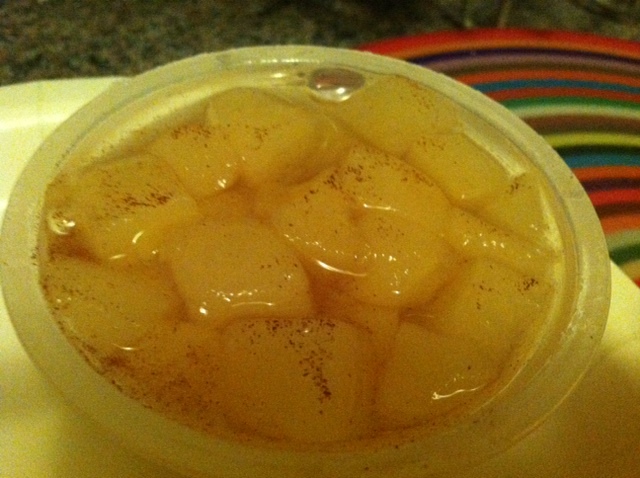 Applesauce is definitely one of my favorite things to eat. By itself, drizzled on waffles/pancakes, or even as a dip, I find it really versatile and really tasty! But what’s a girl to do when she wants applesauce, but doesn’t have time to eat it, or doesn’t have a spoon? Well…. 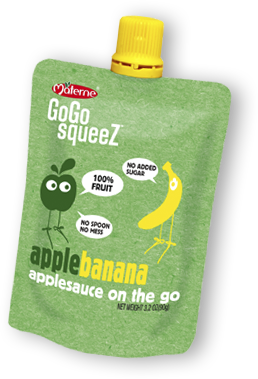 GoGo SqueeZ makes “applesauce on the go” ! These are packets of applesauce that have an almost straw0like place to sip out the applesauce on the top. What’s also good, is that the top can be taken off and put back on again, literally making it easy to take a sip and then save some for later! AppleApple- wow. this was actually really tasty! It kind of reminded me of an applesauce smoothie! It was very smooth in consistency, no chunks or bumps, and the perfect amount of sweetness. I had this one with my dinner, and was the perfect compliment! 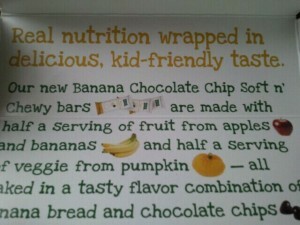 AppleBanana-similar to the AppleApple flavor, but with a hint of banana. 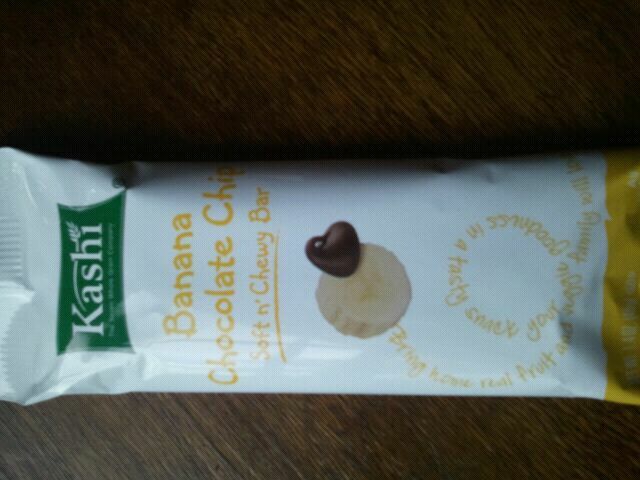 The banana part wasn’t too sweet, neither was the apple, but rather just right. Really tasty, I really enjoyed this one just as is! AppleApple- 1 pouch (90 grams) is 60 calories, .5 grams of fat, 14 grams of carbohydrates, 1 gram of fiber, 13 grams of sugar and 0 grams of protein. 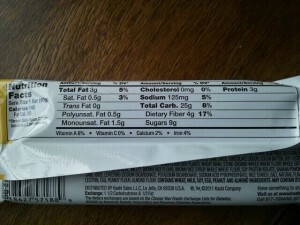 AppleBanana-1 pouch (90 grams) is 60 calories, .4 grams of fat, 13.5 grams of carbohydrates, 1 gram of fiber, 11 grams of sugar and 0 grams of protein. Apple, Banana, Apple Juice Concentrate, Lemon Juice Concentrate. If I had to pick a fruit to eat everyday for the rest of my life, it would definetely be the apple. (strawberries a close second!!) In fact, I consume an “apple” way way or another almost every single day. Most days I have a good ol’ Fuji, Braeburn, Gala, etc., but then I also consume a lot of applesauce, apple juice, and apple spreads! 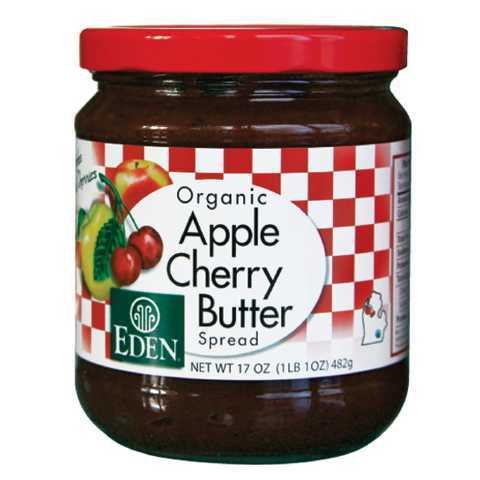 Eden’s Organic Apple Cherry Butter is literally just apples & tart cherries. The back of the jar says “Certified organic fruit (4 pounds to a jar) from family owned orchards on the Great Lakes’ shores. We kettle simmer select apple varieties with a bit of organic apple juice concentrate, then blend in a 30 brix puree of Organic Montmorency Tart Cherries.” Wow- 4 pounds of fruit a jar? That’s a LOT of fruit!! 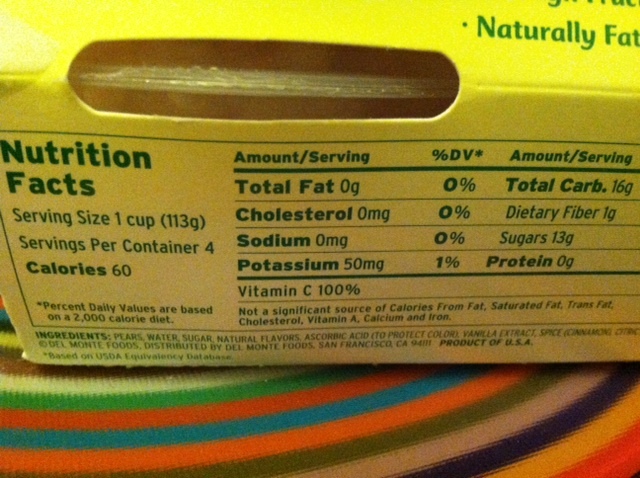 1 tablespoon is 25 calories, 0 grams of fat, 6 carbohydrates, less than 1 gram of fiber, 5 grams of sugar and 0 grams of protein. Organic Apples, Organic Montmorency Tart Cherry Puree, Organic Apple Juice Concentrate. 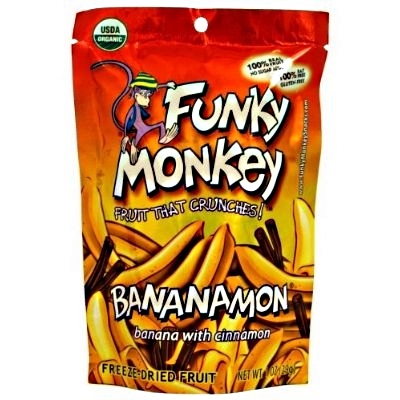 So what better time then now to do a review of Funky Monkey Freeze Dried Fruit! 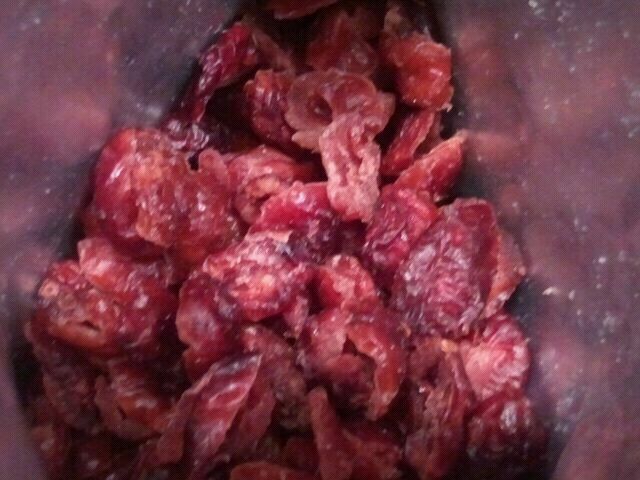 This company has a line of all natural freeze dried fruit snacks which provide THREE servings of fruit per 1 oz bag! Here’s some info about the company which Jennifer at Funky Monkey Snacks provided me with. Nice facts! Who knew these fruits came all the way from BRAZIL!? I was super excited when I got my package in the mail from Funky Monkey, as I knew these were going to be unique and delicious. The flavors come in Applemon, Bananamon, Carnaval Mix, JiveALime, MangOJ, Pink Pineapple, and Purple Funk. I decided to try Bananamon, MangOJ, and Pink Pineapple. Bananamon- this flavor is bananas with cinnamon. I like how they were actual round slices of banana, not just wimpy little pieces. They were airy and crunchy, and COATED with cinnamon! The banana pieces were also sweet and delicious. A perfect snack by itself, or I had them paired with a peanut butter sandwich and a glass of milk (ahh, heaven). MangOJ- this flavor is freezedried mango with orange juice. All I can say is woah! This one is definitely sweet and tangy, and keeps you wanting more! The orange juice was a perfect compliment to the mango. 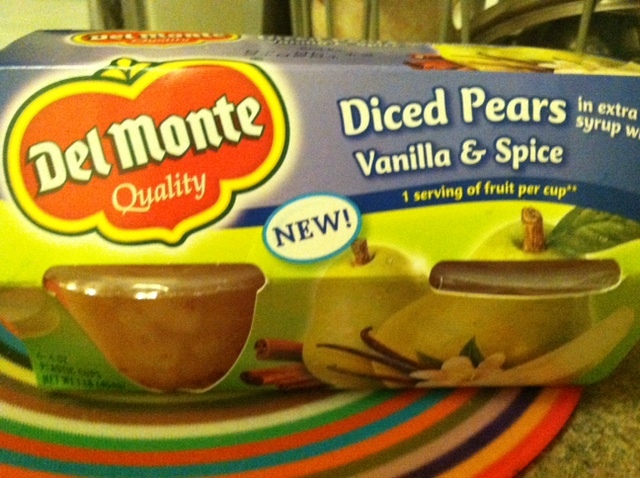 However the pieces did get stuck in my teeth pretty easy (the annoying part of freeze-dried fruit), but I ignored that for the totally awesome taste. Who knew they could make mango crunchy ? Pink Pineapple- this one is freeze dried pineapple and guava. GUAVA! I have never eaten guava before until today- and it was certainly yummy! Mellow, yet sweet, it went nice with the TANGY pineapple. The pineapple tasted just as if it was fresh, and really left an impression on my tongue. Good combination, yet again!